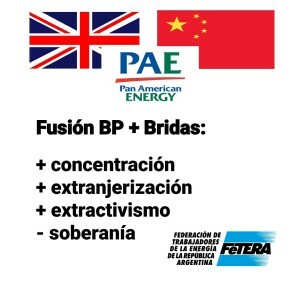 With the merger of BP with Bridas (the Chinese CNOOC + magnate Bulgheroni), the new oil company PAEG will become the largest private company in the country and one of the largest in Latin America. 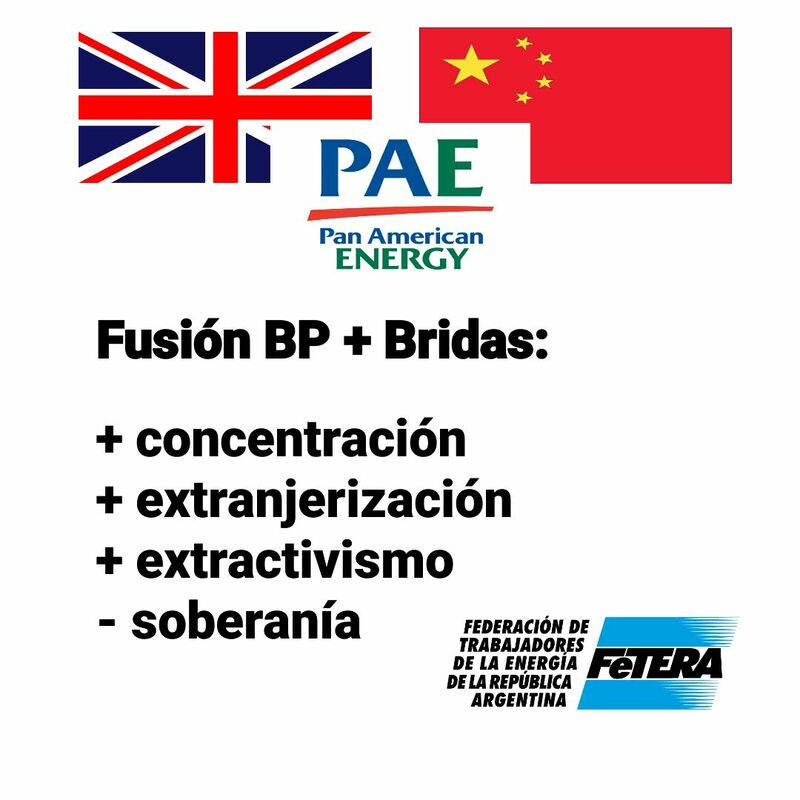 In this way, the British oil company BP (one of the 4 largest oil companies in the world) will reach the refining sector in Argentina through the PAE refinery of Campana. It will also have in its control the PAE oil company, the main oil producer in the country, and Axion Energy filling stations. We continue to give sovereignty over our common assets, they continue creating businesses with energy and the country’s wealth continues to be given to multinational groups. *José Rigane, Deputy Secretary of the CTA Autónoma and General Secretary of FeTERA and the Luz y Fuerza de Mar del Plata trade union.